Refrigerator is one of the key elements in the kitchen. 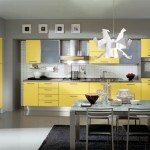 It is not only functional but it can also be stylish and add a special touch to the kitchen decor. 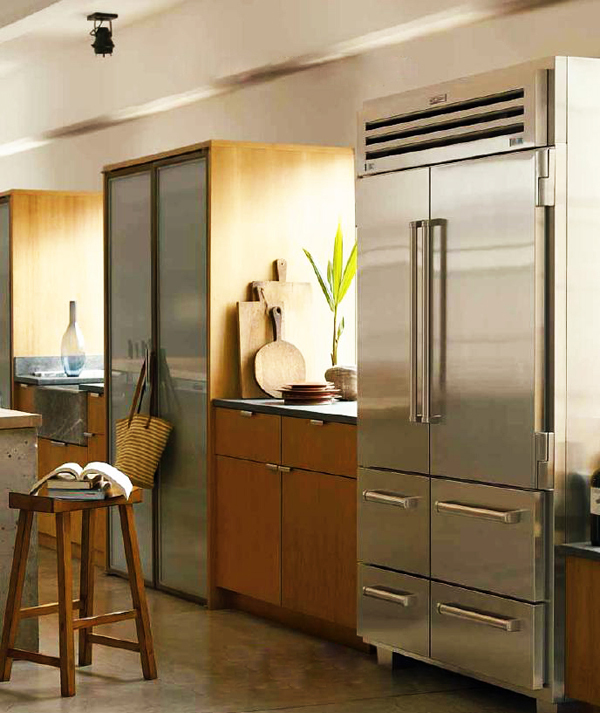 When choosing a refrigerator many look for its qualities and functions first. 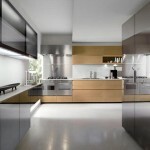 The size may also be in question when it comes to small kitchens. 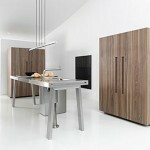 But design should also fit into the kitchen decor. 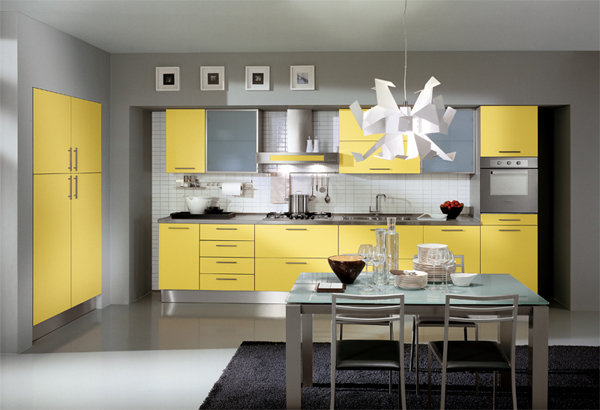 Bright refrigerator can bring in color into the neutral kitchen color scheme. 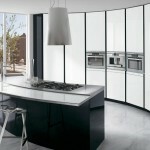 There are also stickers that can help transform simple refrigerator into a bright or patterned stylish kitchen element. 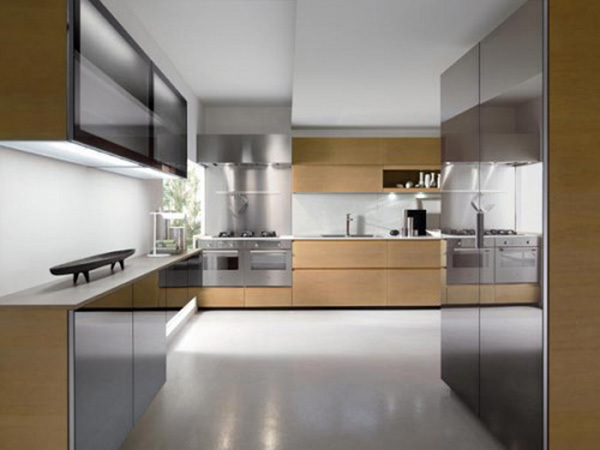 Stainless steel look works great in modern style as well as hi-tech kitchens. 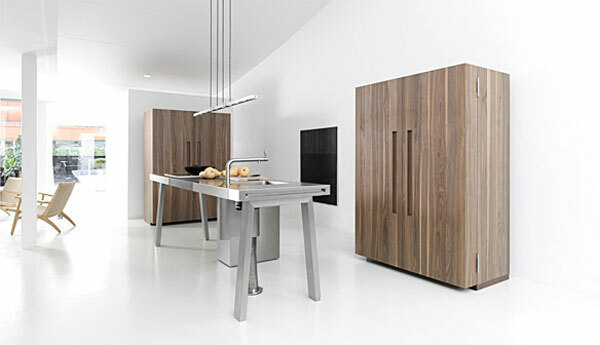 play on contrasts by choosing a retro style fridge for modern kitchen. The shape of the refrigerator also depends on the size of the kitchen. 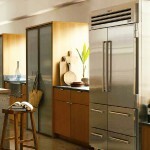 Small kitchens may benefit from slim and tall refrigerators or just small ones if there is little produce to store. Some fridges can be seamlessly fit into a traditional style kitchen with help of wooden finish that disguises it into a cupboard. This practice is also helpful when it is necessary to hide the appliances including the refrigerator out of sight. 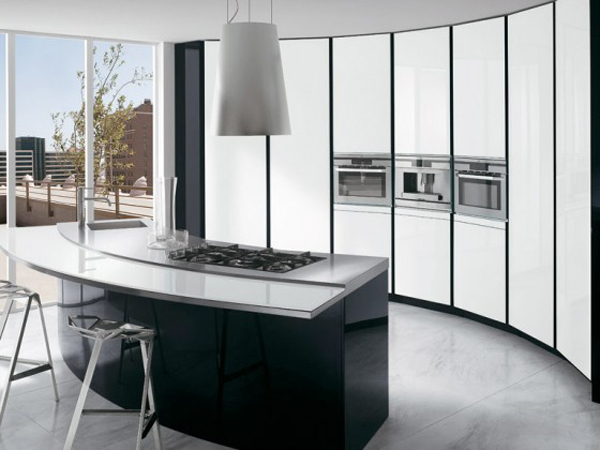 This is also used to create a seamless design in the kitchen that includes cabinetry that is made in one color and material.